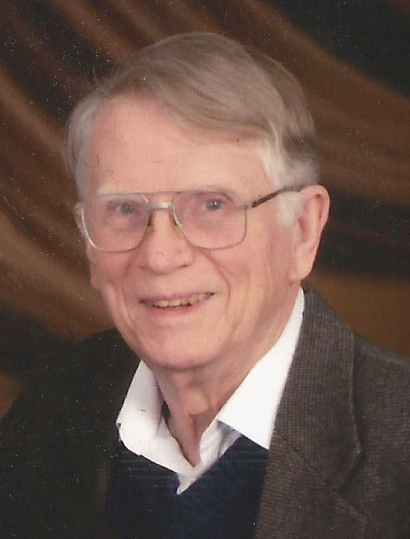 Obituary for Albert William Martin Jr.
Albert William (Bill) Martin, Jr. passed away peacefully in Waverly, OH on January 9, 2019. He was born in Nashville, TN on June 6, 1930, to Albert William Martin, Sr. of Pea Ridge, AR and Sallie Hairston Martin of Conway, AR. Bill grew up in Arkansas and moved to Dallas, TX, where he graduated as valedictorian from Highland Park High School in 1948. He graduated from Southern Methodist University (1951) and Union Theological Seminary (1954). He completed an MA (1961) and Ph.D. (1971) at Vanderbilt University. While at Vanderbilt, Bill and his wife, Bea, participated in the Nashville sit-in movement and helped to organize student protests. In the early 1950s, Bill was ordained a deacon in the Methodist Church and later became an elder. He was admitted in the North Arkansas Conference of the Methodist Church in the mid-1950s, and served as pastor or youth minister for numerous churches from 1951- 54, including the Jerico Springs Circuit of the Southwest Missouri Conference of the Methodist Church, the Scurry Circuit of the Texas Conference of the Methodist Church, First Methodist Church in New Rochelle, NY, and First Methodist Church in Jonesboro, AR. He was pastor of the Methodist Church in Green Forest, AR from 1954-56; Denton’s Chapel Methodist Church in Whites Creek, TN from 1961-64; and associate pastor at Centenary United Methodist Church in Memphis, TN from 1970-71. He was pastor of Santa Cruz United Methodist Church in Española, NM from 1978-81. During his teaching career, Bill worked for the Board of Missions of the Methodist Church, which later became the Board of Global Ministries of the United Methodist Church. He held numerous positions at Methodist or United Methodist-related schools from 1956-81, including Robinson School of San Juan, Puerto Rico; the Navajo Methodist Mission School of Farmington, NM; and McCurdy School of Española, NM. Bill taught at seminaries including the Centro Evangélico Unido in Mexico City from 1965-69, and the Seminario Evangélico de Puerto Rico in Hato Rey, Puerto Rico, 1971- 77. He taught classes for pastors at Perkins School of Theology, SMU, and at their extension center at Hendrix College in Conway, AR. Bill was a professor at Oklahoma City University (OCU) from 1981-98, where he served one year as Acting Dean of the Wimberly School of Religion and was named Professor Emeritus upon his retirement. Bill’s publications include his book, A Diary of Devotion: A Month with John and Charles Wesley, and multiple articles in journals such as Methodist History, New Mexico Historical Review, The Chronicles of Oklahoma, Quarterly Review, Studia Liturgica, Journal of Ecumenical Studies, The Craighead County Historical Quarterly, Flashback and Tennessee Historical Quarterly. He wrote occasional guest columns for the United Methodist News Service, the Arkansas United Methodist, and the United Methodist Reporter. One of Bill’s articles published in The Chronicles of Oklahoma received the Muriel H. Wright Award for the “outstanding article” in 2000. Bill was one of the founders and early chairpersons of Amnesty International Chapter 238 in Oklahoma City and served as President of the Oklahoma Coalition to Abolish the Death Penalty. He and his wife, Bea, received a lifetime service award from the Coalition. Both were arrested numerous times and jailed on one occasion following demonstrations against the death penalty in Oklahoma. Bill actively supported the Reconciling Ministries Network and the Methodist Federation for Social Action, both unofficial United Methodist organizations. This support included participation in committees at Epworth United Methodist Church in Oklahoma City and St. John’s United Methodist Church in Lubbock, TX that petitioned the General Conference of the denomination to become more fully open in its acceptance of LGBTQ persons. As a citizen, he supported Amnesty International, the American Civil Liberties Union, and numerous other organizations. Bill and Bea moved to Waverly, OH in 2013 and became members of Broad Street United Methodist Church in Columbus and Orchard Hill United Church of Christ in Chillicothe. As a resident of Bristol Village, Bill was active in the Faith & Values group and the Religious Liberal Fellowship. Bill is preceded in death by his two sisters, Mattie Sue Emerson and Betty Jane Anderson. He is survived by his wife of 61 years, Annie Beatrice (Bea) Martin née Williamson of Philadelphia, MS, and their three children, Sara Lee (Sally) Delgado (husband, José Delgado) of Athens, OH; Andrew William Martin (wife Christina Ashby-Martin) of Lubbock, TX; and Anthony Lloyd Martin of Ashland, OR. Bill is also survived by his two grandchildren, Alejandro Delgado (wife Lauren Delgado) of Cincinnati, OH; and Alma Ann (Annie) Martin, of Pittsburgh, PA.
A memorial service to celebrate Bill’s life will be held Saturday, January 19 at 1:30 pm in the assisted living activity room of Traditions at Bristol Village in Waverly, OH, with Rev. Terry D. Williams officiating. In lieu of flowers, the family suggests donations to Amnesty International, Bread for the World, United Methodist Committee on Relief, Reconciling Ministries Network (UMC), the Pike County Outreach Council in Waverly, or a local food bank. Bill’s remains will be buried in the cemetery of Pea Ridge, AR where his parents, grandparents, great-grandparents, and many other relatives are buried.